The Brecknell GP100-USB bench scale has a capacity of 100 pounds and a readability of 0.2 pounds and a pan size measuring 11 by 12.5 inches and comes with a USB interface (cable not included). 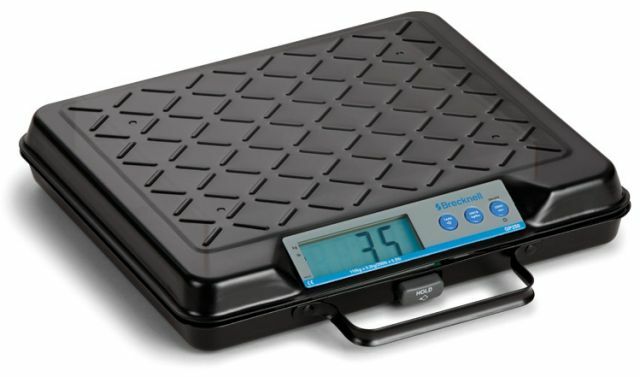 The Brecknell GP100/GP250 series bench scales are the ultimate in portability and affordability. Featuring an integrated carry handle, these scale use one 9 volt battery for power. The hold function locks the reading if a large item blocks the display. UPS Worldship compatible!! !